Carol McGregor with Adele Chapman-Burgess, Avril Chapman and the Community of the Myall Creek Gathering Cloak, Myall Creek Gathering Cloak, 2018, natural ochre, thread on possum skins. Fiona Foley, Scarred, 2018, 28 pairs of shoes, 10 calico hoods, gouache on water-colour paper, charcoal and ash. Photograph by Simon Scott Photography. Image courtesy of the artist and New England Regional Art Museum. 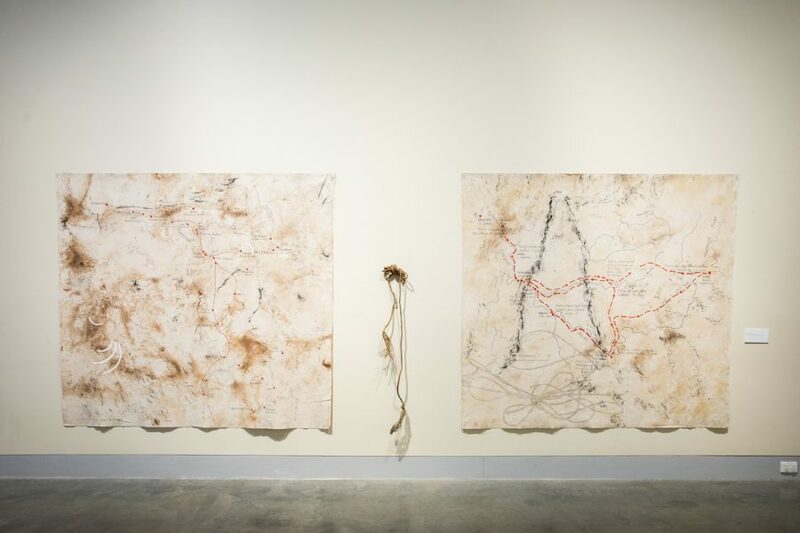 Judy Watson, the big bushwhack, myall creek 1838 & sergeant denny day’s route myall creek 1838, 2018, earth, charcoal, acrylic, chinagraph (lumocolour) pencil on canvas. Photograph by Simon Scott Photography. Image courtesy of the artist and New England Regional Art Museum. 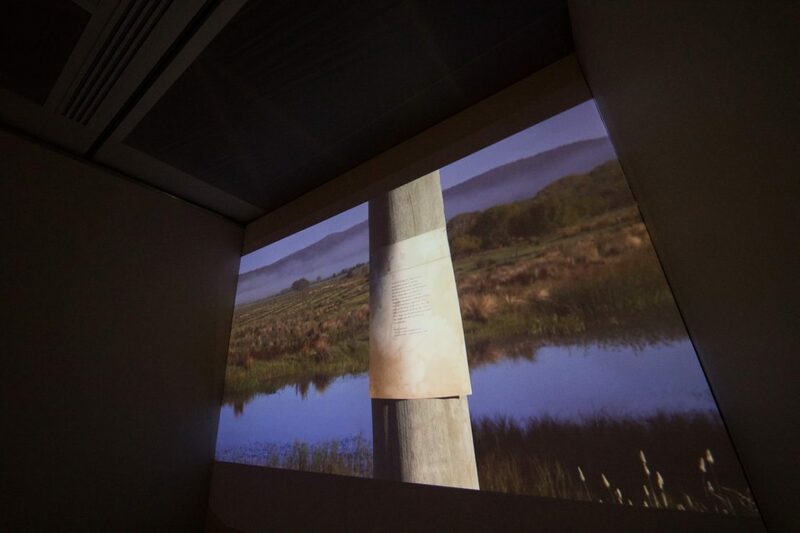 Judy Watson, witness tree, 2018, video installation, muslin cloth, charcoal, ochre, gate posts. Photograph by Simon Scott Photography. Image courtesy of the artist and New England Regional Art Museum. Julie Gough, The Grounds of Surrender, 201. LR HD video, 16:9, colour, sound, 19:17 mins. Photograph by Simon Scott Photography. Image courtesy of the artist and New England Regional Art Museum. Warraba Weatherall, Death Mask, 2018, glass, aluminum, silicone. Photograph by Simon Scott Photography. 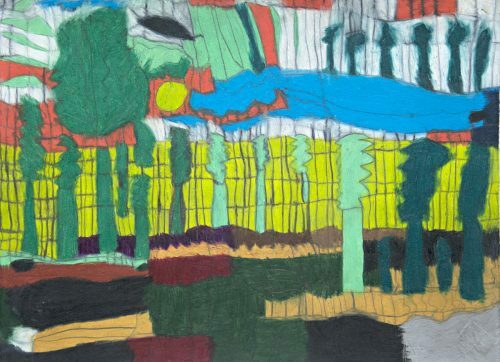 Image courtesy of the artist and New England Regional Art Museum. Robert Andrew, Reveal, 2018, ochres, oxides, aluminium, acrylic, electro mechanical elements. Photograph by Simon Scott Photography. 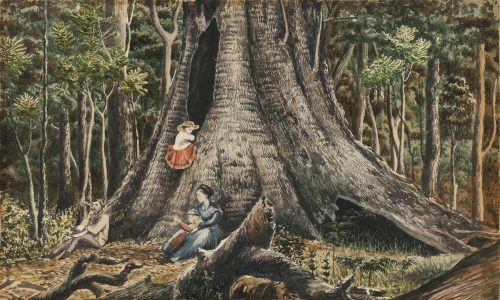 Image courtesy of the artist and New England Regional Art Museum. The Myall Creek Massacre of 1838, in which 28 Wirrayaraay men, women and children were murdered by whiter settlers was a rare case in Australian colonial history because the perpetrators were brought to justice. Many massacres thereafter became shrouded in silence. 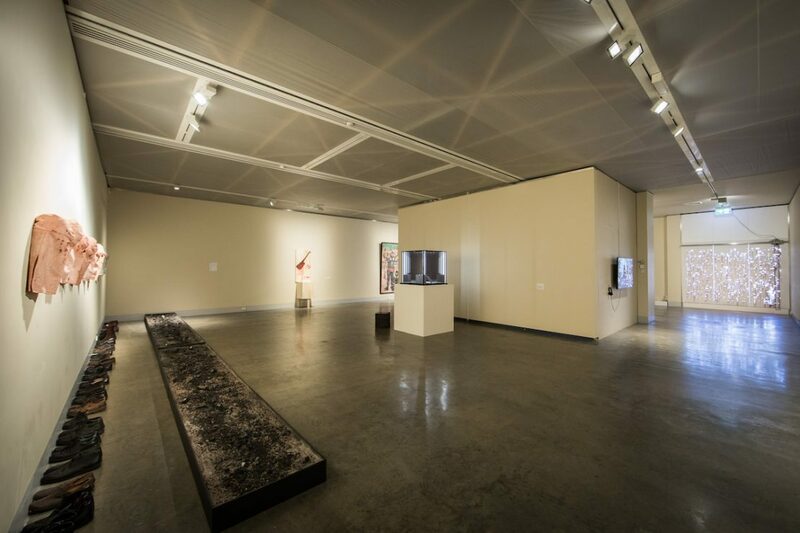 This exhibition is comprised of mainly new commissions by Indigenous artists from across Australia. “I looked for Indigenous artists who are really creating a dialogue around massacres and histories in both historical and in contemporary contexts who could deepen and expand the conversation around the event,” says Beetson. 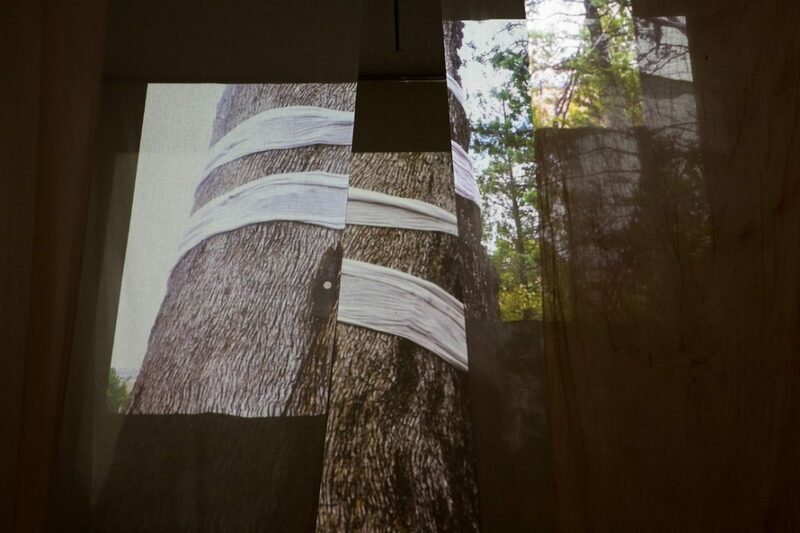 Some works created directly speak of the violence of the event. 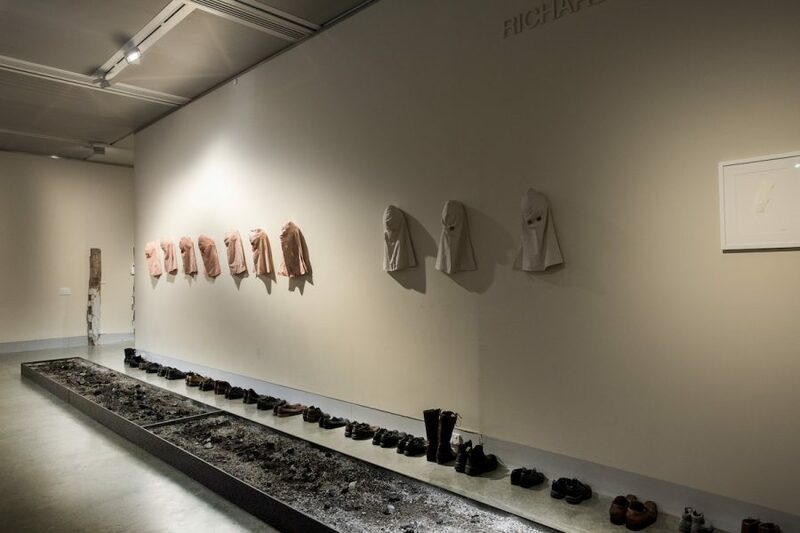 Laurie Nilsen’s installation Land Clearing, 2018, consists of a butcher’s meat cleaver stained with red paint while Fiona Foley’s Scarred, 2018, is an installation recalling holocaust museums; 28 pairs of shoes lined up in front of a trough of ash refer to how the victims’ bodies were burnt, and 10 calico hoods hung on the walls represent the perpetrators. Other works took a subtle approach. Robert Andrew made a palimpsest machine situated over the window of the gallery. Sheets of red ochre were covered with white ochre. 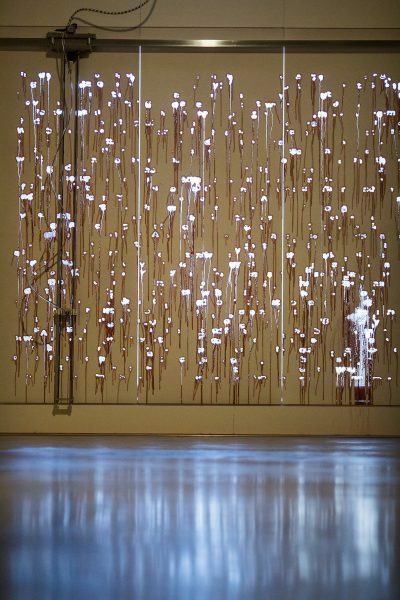 During the 105 days of the exhibition the ochre is scratched by the machine revealing the light from outside. 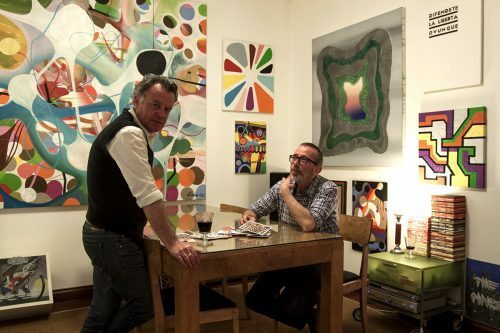 As part of developing these works many of the artists undertook local residencies. 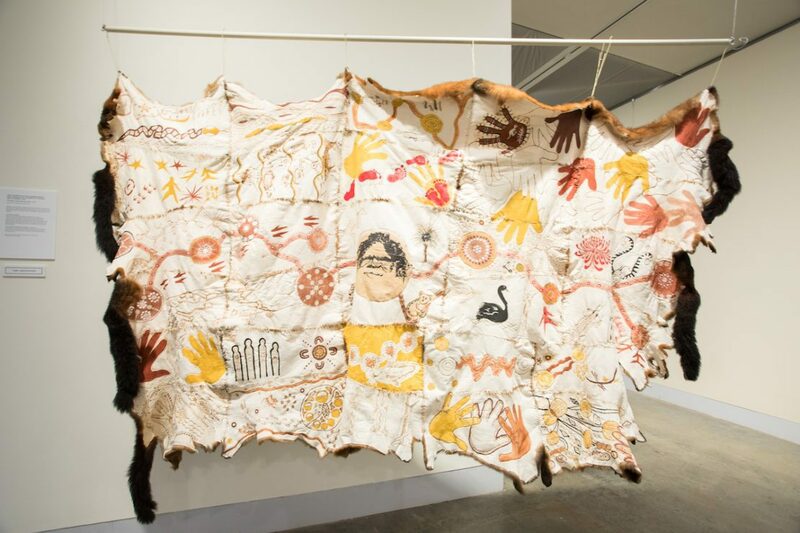 Carol McGregor worked with Adele Chapman-Burgess and Avril Chapman to undertake community workshops which enabled Aboriginal communities of Bingara and Inverell and surrounds to create a possum skin cloak for the exhibition. The cloak includes a map of the country, towns where Indigenous people were dispersed, and where they are living now. Described as one of the most successful parts of the project by Beetson, the cloak will be used in the future by the local community for ceremony. 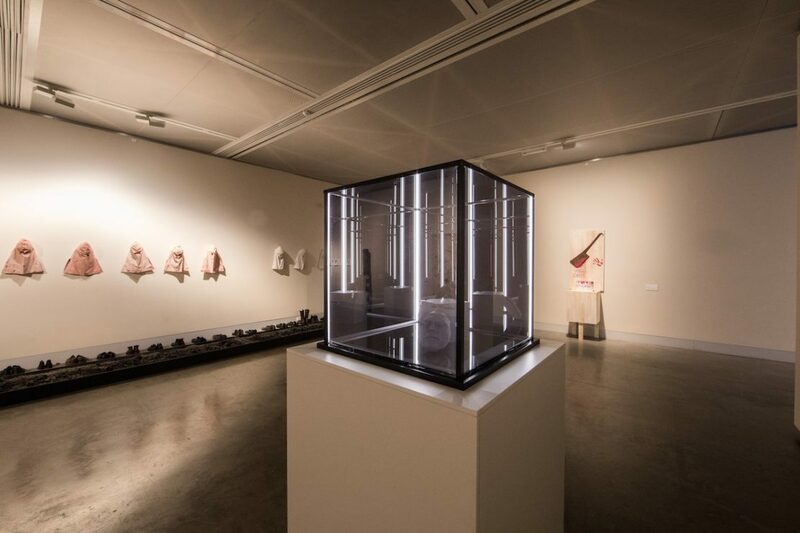 Beetson was mindful of making an exhibition that addressed the atrocity of these events but did not trigger more pain. 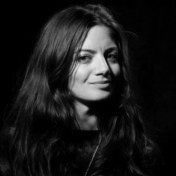 Unknown Land is a portrait of one historical perspective; the European gaze, freshly fixed upon Western Australia, exploring and describing the land with flourishes of colonial poetry.